backbiting and enmity between the major parties taking a severe toll. 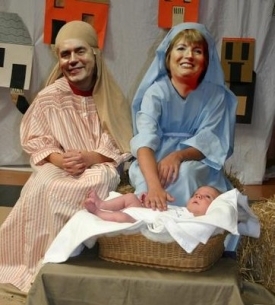 David Milliband played the Baby Jesus for the third year running. Well, the Kings refused to defer to him. representatives. Unfortunately, this year's occasion didn’t quite go like that. his boys think the next election is all sewn up already, and they’ve started acting like they own the place. nervous cast members they were “shite” and “ought to be shot in the head”. nativity descended into farce around her. the whole concept of festive celebrations for our elected representatives, is now in serious doubt. The 1974 production was less controversial. The lower house - where the worst of it happened. 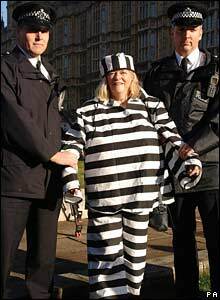 A recovering Ann Widdecombe is paraded for the cameras as a stark warning to all. Extras tend to Mr. Milliband.